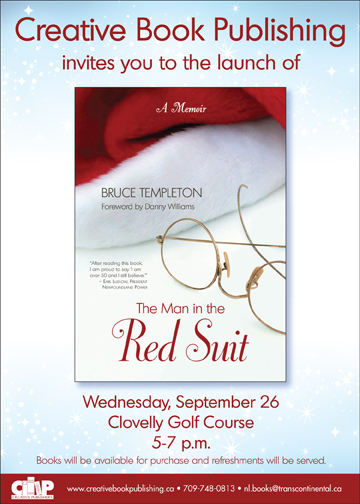 Following the launch event for The Man in the Red Suit: A Memoir on September 26 at Clovelly Golf Course, Bruce Templeton will be out and about for a couple of already confirmed signings! The first will take place at Chapters on Kenmount Road in St. John’s, on Saturday, September 29 from 1:00pm to 3:00pm. Check out the details for this event on Facebook. Later on Saturday, October 27, Bruce will be at the St. John’s Costco location for a free author meet ‘n greet, signing copies of The Man in the Red Suit from 1:00pm to 3:00pm. The Man in the Red Suit has arrived! 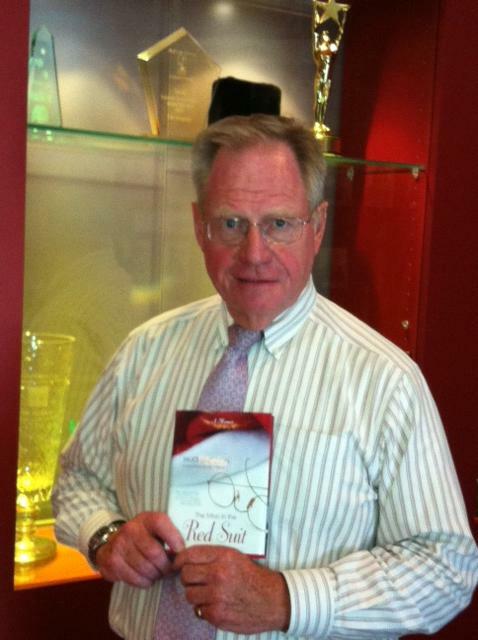 Check out this photo of Bruce Templeton getting to see his memoir for the very first time at the Creative offices! The book includes a forward from former Newfoundland and Labrador Premier Danny Williams, as well as a number of photos. It will hit the shelves just in time for the 2012 holiday season! Bruce Templeton sees his book for the first time! Book launch & first signing of The Man in the Red Suit announced! It’s official, Creative Book Publishing has announced details of a book launch and signing event for Bruce Templeton’s memoir, The Man in the Red Suit! The launch will take place on Wednesday, September 26 at Clovelly Golf Course, starting at 5pm. The event will include a reading from Bruce, special guest appearances by individuals included in the book’s stories and refreshments will be served. Copies of the brand new book will be on hand to purchase, so you can get them signed right away!